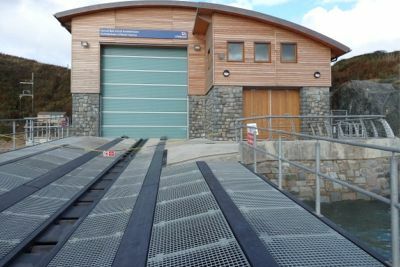 These lifeboat stations were commissioned by the RNLI and Celtic Heritage Ltd were involved in providing a significant amount of stonemasonry including dressed stone, cladding and block work. 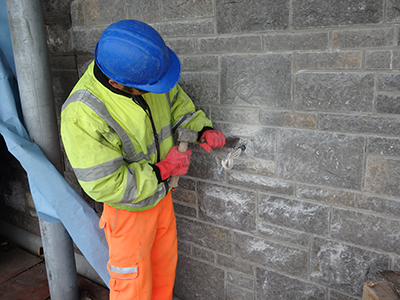 Varied types of stone were used, Moelfre limestone and Trefor Granite for respective stations. Celtic also provided other general construction activities such rendering, kerbing and tarmac laying during the program of works. Wynnes Construction Ltd engaged Celtic Heritage Ltd’s services on this £8M+ government funded project to carry out the main structural cladding of the building. 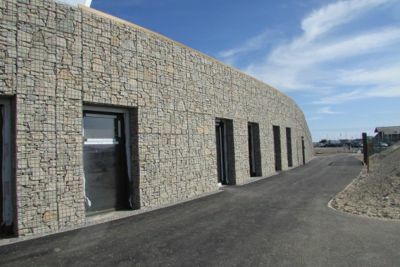 Trefor Granite stone filled gabions were fitted to the outside perimeter of the circular building to provide a modern and fresh aesthetic finish. Our program included additional construction activities including earth retained structures, green roof installation, groundwork’s and environmental landscaping. 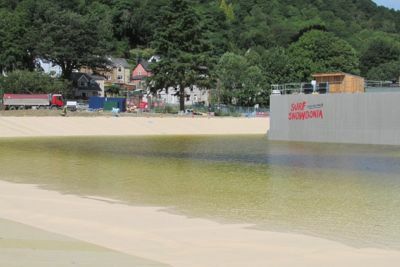 A unique water surfing facility was constructed during 2016 on a disused aluminium works in Dolgarrog near Conwy. Celtic Heritage Ltd was involved from an early point, working for D Morgan Ltd to install an outer perimeter gabion retain wall at the end of the lake to hold the flow of water created by the man made wave mechanism. In addition, other gabion works were constructed during the contract to include, retaining structures within water activity pool, water outfall to river and protection of electrical substation. Kerbing and path construction services were also supplied. Landscaping is a specialised service that covers many forms of construction and product ranges. 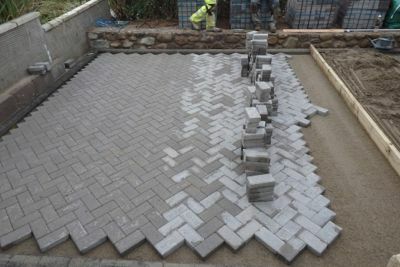 Celtic Heritage Ltd covers all aspects of Landscaping, from dressed stone & block walls, gate entrances, block paving and edging, paving slab patios, wooden decking and gates. A design, supply and installation service is available to complete each project from start to finish. All projects irrespective of size or location are considered including site preparation, groundwork’s and removal of all materials.